After watching every video I could find on the Tree-T-Pee I have one main question, why isn't this product being made and/or promoted for all kinds of Tree Species instead of only Citrus Trees? This is one market I happen to know a little bit about after spending 20+ years in the tree industry, and I must say I really like what I see. Most of my time was spent climbing out larger trees hanging over million dollar homes, but even the biggest of tree's had to start somewhere and this is where the Tree-T-Pee comes in. 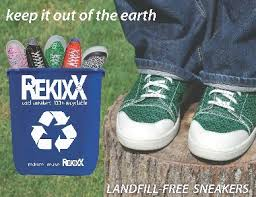 The Inventor of Tree-T-Pee is Johnny Georges from Arcadia, Florida who built this protective barrier made out of 100% recycled plastic. You simply slide the cone shaped T-Pee around the base of the tree which creates a mini greenhouse environment and protects smaller tree's from the elements as well. The irrigation system is converted down to individual drip emitters for each Tree-T-Pee which greatly reduces the amount of water required when watering. Not only will this reduce the amount of water required per tree, it also prevents unwanted grass and weeds nearby from getting watered resulting in less maintenance throughout the growing season. The Tree T Pee has also proven to be an excellent frost protection devise for smaller trees which that alone would pay for themselves in a single night under extreme frost conditions. By the looks of Johnny Georges Videos, He's already keeping very busy selling thousands of Tree-T-Pees mostly to the Commercial Citrus Tree Growers. I would imagine just about every commercial tree grower out there will instantly see the benefits of how much money the Tree-T-Pee will save them and most likely will become an Industry Standard especially in water conservative drought-stricken areas. 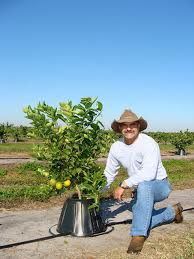 Now if Johnny Georges ever gets caught up selling thousands of Tree-T-Pee's to all the Citrus Tree Growers in very large quantities, I would imagine with a few minor changes and maybe a few different sizes these Tree-T-Pees could also be used for other types of species which would greatly expand his customer base overnight. It doesn't take watching too many videos to realize who Tree-T-Pees biggest customers are and why they are buying this product in very large quantities resulting in thousands of units sold per order. If Johnny Georges is selling this many mainly on the East Coast primarily to Citrus Growers, just imagine how big this business could grow to target other Fruit Tree Growers on the West Coast and around the world for that matter. Now taking into consideration the emitters now being used and replacing with drip style emitter's so they're not spraying directly on the trunks of some species of trees which would result in root rot, the same mini greenhouse effect would still take place and help several other varieties of trees grow faster using less water. Surprisingly, the Tree-T-Pee is only available in one size with a 15 unit minimum per order. Ouch, that might cost a few interested customers from ordering a few Tree-T-Pees after the Shark Tank Show. Unless you happen to have a small Orchard in your backyard, this might not be worth what it costs for such a large minimum quantity. And for that reason "I'm Out"! I realize the benefits mainly dealing with customer's who own hundreds of acres of Citrus Trees and buy thousands of Tree-T-Pees at a time, but I also see other large markets that are not being addressed as far as I can tell. Hard telling how much money and brand new customers this will cost Tree-T-Pee in just a single night when millions of people will be interested in this really cool invention, but unwilling to buy 15 at a time for over $100.00 per order. Who knows, maybe Johnny Georges will read this article before this Friday Night and consider putting together even a 3 or 5 unit "Shark Tank Special" of the Tree-T-Pee for Homeowners, Landscaper's and even Shark Tank Fans to try out this product first hand. There's no doubt about it, this product has lots of potential growing into a multi-million dollar empire in record time if Johnny Georges can keep up with all the future demand. LOL, Thanks for stopping by Johnny. I think thats a Great Business decision you'll be happy you made in the very near future. Johnny THINK BIG. 15 ct is not that much to ask! Follow your dream. You are a true inspiration! Johnny, I got emotional when you described how you and your father came up with the concept and before that when you lost your place for a second...then found yourself and marched on! I was so proud! Then when Paul Mitchell made that deal with you and you talked about your daddy...I lost it. I am so inspired to know that people like you exist that believe in doing good for others rather than getting good FROM others. Please keep this going, I pray for your continued success in everything you do. God bless the farmers! Johnny your dad would be proud, Good luck to you, just an old friend from the old neighborhood. Just saw shark tank. I don't have a home yet, I don't have trees yet, BUT, I really want some of these for future use. It's a brilliant and fantastic idea!!!! Especially since water shortages may be in our future on this planet. So this invention will be a real boon to the food/tree growing industry. Perhaps it can even be applied in other ways to other types of plants? Johnny, I LOVE how you showed empathy and caring to the farmers and didn't get sucked into the greed aspect of this. There is more than enough money to be made without having to double the price (especially in this economy) and I'm glad you saw the bigger picture and held your ground. I cheered when John Paul DeJoria saw the good in this product too and gave you a chance. Kudos all around, Woo-Hoo! Hi Johnny, saw you on the tank & I just want to say THANK YOU for thinking about the farmers & their welfare. It means so much! I bawled my eyes out watching/listening to you. You have so much heart & it is refreshing to see that these days. I know your father is so so so proud of you, Johnny! I know that your Tree T-Pees will really do well now after your appearance on the show & with JP's help. I am so glad that someone is thinking about water conservation; it is so important! Thanks again, Johnny for a great product and just for being your caring, humble self! You are an example to all of us. I hope one day to be a customer. God bless! The Coolest thing I have ever seen on shark tank was by far Johnny Georges. You brought me to tears. Johnny I saw you on shark tank man and I loved your story and your heart. wondering how this product would work for spring frost on apple trees? I was so impressed with you and your vision and mostly your heart! I want to get 5 for my home. Please tell me how. Johnny Georges, i can not tell you how much respect i have for you. You are a great man for not thinking about the money, but instead thinking about actually helping hard working Americans. Tears came to my eyes when you told your story and i think you are doing an amazing thing. When you turned down an offer because you didn't have a big enough "profit margin" i praised you. You are someone in this county who grew up a working man, worked hard to get where he is, made sacrifices, and is looking not just to help himself but other fellow hard working farmers. You truly care about other farmers and know how tight money is. You are willing to make that sacrifice to make this item affordable and only make a dollar per tree-t-pee, that is what makes you the great person you are. This country needs more people like you!!!! Just watched your clip on shark tank. You Rock! Your dad would be so proud! I saw you on the Shark Tank, and think you're great! You should have your own show! and off course it should be made for other trees. I'm working in that kind of business and it will sell very good in Europe if there are tree t pees for other trees as well.and I think even for plants. God Bless you Johnny! When hard work meets passion, nothing can stop you! god bless you Johnny. Your story really touched my wife and I. Best of luck to you. Johnny...saw the episode tonight and had to look you up to say...I love your heart! I'm not a farmer, not related to farmers, but you're doing your dad proud and honoring small farmers everywhere by your invention and by doing what you can to get your invention to them. Congrats to you.... I think you will do awesome. Can you size this down for home gardeners? I think this could be good for tomato growers. Just watched the episode. I was born and raised on ocala fl and i give u ahigh five for caring about the farmers who cant afford alot. You are a good honest man. I wish you all the success in the world. Johnny, I have to say that your honesty and integrity epitomizes the heart and soul of all that this country has to offer. I loved how you could just not fathom charging 10 or 12 dollars for a product that costs you 2.50; especially to the hard working men and women who feed us in this great country of ours. You make your dad proud! God bless my friend. God Bless you Johnny, I was touched when that Greedy Mr Wonderful suggested selling it for $12 and you could not even comprehend the thought of gutting poor farmers like that. Good luck to you!! Congrat's! Loved the product and loved that you stood by your farmers. Your keeping the price affordable and you still make some extra for yourself! Your dad is in heaven so proud of you! Best of luck to a deserving man. Great product, great episode and story!! What a great way to support the environment and farming! Please sell it through big box stores at different sizes for ornamental plants. I have been looking for product like this to protect my precious plants from drying out during summer and from freezing during winter. Johnny, You are so humble along with Paul Mitchell whom I know quite well for 40 yrs.! What a match! And I repeat the praises already stated! Johnny, you brought me to tears on Shark Tank. What an honest man you are. My husbands family just bought land and we will be looking at buying some tree t pees. Johnny i was very touched when you talked about your father. I got very emotional and actually teared up! I live in Wauchula Fl. and im 17 yrs old my dad worked in the citrus business for most of his life and i knew your product was gonna catch some attention! Great Job and good luck! I just saw your story on Shark Tank and was all in tears. You are a great man with a big heart! God bless you. You are an inspiration and a true American. Thanks for following your dream and making a stand for what you think is right. You are awesome! best shark tank episode ever. if only the world had more people like this guy. I was so moved by you! Your Father raised an excellent Man, Way to make a change in this world for the positive. You are inspirational! Sometimes something so simple is genius. I was thinking how here in the Midwest it would pay for itself in water savings where it raises water bills 100s a month to water a small yard. You're a good man and you can tell by your shoulders you're a hard worker. Good luck. I don't have a tree needing this but you made me want you to succeed so much I will keep track of your story. Johnny I'm not typically an emotional person or one to comment on threads like these. But I just saw you on Shark Tank and you left a tear in my eye. Have never wanted someone to be invested in as much as I wanted it for you. May God continue to bless you.....you definitely showed what a beautiful character you have. Best of luck and I'll be ordering the five in support of you! Congratulations! You stood your ground and did not compromise your beliefs. My father is a farmer and I applaud your integrity and fight to help all farmers. Best wishes to you for continued success and a happy life! Thank you for your human-ess Johnny - you are a true inspiration. Johnny I'm a poor country person and It touched my heart that you are not just trying I make money you want to help the American farmers you have a big heart and I hope you make it far in life, congratulations I'm sure your father would be proud! Praying for you man, you are a scarce commodity in this greedy world. I hope you make it big because you are good man with high work ethics. God bless you, Johnny! My Grandad was a farmer and I felt your heart when you held your ground on the general price point. I believe you will keep the farmer's interest first and pray that the money will never sway you away from that. You are a great American hero. Thank you for what you are doing to keep this country strong. My husband is in the military and it touched us both to see that and remember why he serves the way he does. You are truly an inspiration to us both. We appreciate you and thank you for that reminder tonight! I agree. Johnny seemed like a genuine guy with his unfailing belief that he couldn't take advantage of the farmers. This is the first show to make me teary. Even Kevin looked touched when Johnny spoke on his father. I saw Kevin show that kind of heart one other time, so I know he has it, but usually he hides it well (too well). And kudos to John Paul Dejoria for stepping up. I suspect that Mark Cuban might have done himself so had John not been there, but was classy and sat back to let John do the right thing on guest spot. Nice when "rich" comes from the heart and not from the wallet --- Johnny you are a millionaire! This is what good old fashioned thoughtful is all about. "Nobody owes you nothing, life is what you make it" amazing words spoken from Johnny Georges. Your Daddy was a great man that was not only a business minded person but just as fun loving as you! We are all so very proud of you, Johnny! You have always stood your ground and looked out for others, I am glad to see you getting back just a little bit of what you and your Daddy has given to our community over the last 20 plus years. I love you Johnny!!!!! 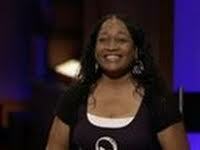 This is the most amazing story I've ever seen on Shark Tank... You deserve the best! I know you will be very successful. It makes me want to start growing trees : ) Take care! Johnny, just saw you on SharkTank. Your heart is in a good place. Great presentation and product, I wish you all the best and success in business. Don't change! God bless your dad! Johnny your segment had me in tears! it was great to see someone as genuine and honorable as yourself. God is just getting started with you. Thank you for your gift to the world last night. You have a great purpose. Congratulations from N.C. Johnny!! We saw you on SharkTank last night and loved hearing your story, information about your great product and your honesty!!! We recorded the show and have watched your portion repeatedly (with tears each time) - what an inspiration!! We also respect all the Sharks for handling your portion of the show the way they did, no bickering, no back and forth, etc. Also, when John Paul Dejoria made his offer, the rest of the sharks backed off although I think they would have loved to have helped also -- very classy! We are wishing you the best of luck and success in your business!! God bless you and your Dad!! My wife and I saw your segment last night and are still in tears. I am not a blogger (this being my first) but was determined to look you up and express our gratitude for reaching such a depth in everyone's hearts. You epitomize the ideals and virtues of hard, honest work and exemplify what we should all strive for. Congratulations on your success. Your story will never be forgotten. Just saw shark tank. I don't have a home yet, I don't have trees yet, BUT, I really want some of these for future use. It's a brilliant and fantastic idea!!!! Especially since water shortages may be in our future on this planet. So this invention will be a real boon to the food/tree growing industry. Perhaps it can even be applied in other ways to other types of plants? Johnny, I LOVE how you showed empathy and caring to the farmers and didn't get sucked into the greed aspect of this. There is more than enough money to be made without having to double the price (especially in this economy) and I'm glad you saw the bigger picture and held your ground. I cheered when Paul Mitchel saw the good in this product too and gave you a chance. Kudos all around, Woo-Hoo! God bless u Johnny. My wife and I were in tears as you supported farmers and your father' memory. Best shark tank we have ever seen. Wish there were more people like you in this country. You represented the goodness that has been lost in this nation. If our world had more people as beautiful and pure as Johnny, we would all have a better life. God bless him, what an incredible man. He's an inspiration. Awesome job Johnny. Love how you stood behind your price for the working people! When you started to talk about your father it brought tears to my eyes! Thank you Johnny for your heartfelt kindness and understanding for the men and women who work so hard to keep us alive. I cried buckets of tears of joy....kudos to the best guest shark ever too. May God bless you always. congrats Johnny. great product and what an inspiring story! wish you the best of luck! Great story. Love that your product is saving water. However, he did change his mind on price point. Seeming firm on his affordable price on the show. On the website if you try to order the min. Of 5 tp's the total was $89! What happened to $4.50 a piece? That's expensive! I guess the popularity of his product caused a little greed. Currently, the shipping costs for an order of less than 15 Tree-T-Pees ($40 plus) exceeds the cost of the Tree-T-Pees themselves. Therefore, as of 12 November I'm only accepting orders for 15 or more Tree-T-Pees. I appreciate all the orders received to this point, but I can't in good conscience ask my customers to pay this high price for shipping. I ask for your patience and understanding as I'm working diligently to get the Tree-T-Pees into your neighborhood home improvement stores so everyone can reap the water saving benefits of the Tree-T-Pees. You did our hearts good Johnny! Not because you shared a heartfelt story about you and your Dad, but because you are genuine and honest. We heard it in the words you spoke and saw it in your body language. It may sound weird, but I have to say that I have never been more proud of someone who I have never met. Stay true to who you are as I have a feeling your life is about to change in ways you never dreamed it would - if it hasn't already! From your supporters in Michigan! Take Care! Fantastic story. The best I have ever seen on Shark Tank. Could not resist and find you Johny, just to say, that your incredible honesty, humbleness, hard work and good heart was beyond touching. I cried on an investment show - my favorite show ever, btw! You cannot even imagine the surprise on your face when Mr. Wonderful was offering to charge more for your creation... Your honest heart & mind could not even grasp it. I have already shared your story with as many friends as I could, after watching it yesterday. God bless such people like you Johny. It is so hard to find humble, honest, hard working people these days. Your dad is the proudest man in heaven, Johny - trust me when I tell you this (I lost my dad 12 years ago as well)... and try to do all my best so he can be proud of me too (I'm a fellow entrepreneuress)... Soooo happy you had the courage and chance to be part of Shark Tank and partner with the best "Shark" for you. JP is with you with all his heart... Your fellow farmers have found their guardian angels... Crop is going to be better for all of us. God bless you, your family and the gold hearted "atypical shark" JP. 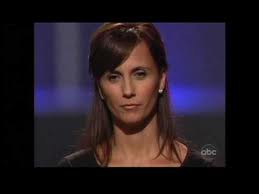 Just saw you on Shark tank, very emotional. My wife and I just bought a house and have planted 2 trees in honor of our Moms who have passed away. Wish we could just buy 2 here in Nevada. I am hoping that you go to home depot and work with them, God Bless you and best of luck. Johnny, I just watched the Shark Tank episode and it brought me to tears after hearing your dad's story. You have a heart of gold. Thanks for looking out of farmers and sticking to your values. I'm not a farmer, but even I could appreciate how steadily you stood your ground. I am so pleased that you got a deal with someone who truly seems to appreciate what it is you stand for. Johnny, your dad is so proud of you and I am too after seeing Johnny Georges - America's All American Farmer. You have earned more respect from all who watched your appearance on Shark Tank. You made me glad to have lived another day to have seen a person of your high character. Best of luck to you, J.P. and all at Tree-T-Pee. Your segment literally brought tears to my eyes. Best of luck to you and John Paul, you will do great! Johnny, Just like many here, I just got done watching Shark Tank and was truly touched by your story. I was listening to "Mr Wonderful" (Only by name, not by persona) talk about how farmers should pay 12-20 for each Tree-T-Pee. He and many of the Sharks do not get it. Farmers work their asses off 365 days per year, providing for the community and country. I know this because I have been one most of my life and wouldn't trade it for anything. I am so proud of you and was in awe when Paul Mitchell made the offer to you. It was an emotional moment for me and then you had to tell your story about your father. I am happy you were able to work with him, I never had the opportunity to work with mine. If you need any assistance in distribution on the West Coast let me know. We have a lot of nurseries, apple farmers and vineyards that NEED your product. Keep up the great work and I can't wait to see your product go mainstream in the coming months! I hope he can find a way to lower the shipping so he actually can offer smaller quantities, but this is posted now on the order page of his website. If I had trees, I would find some friends with whom to combine an order for 15 just to support this awesome, genuine man. We love you Johnny! Really wish I had trees. I may buy some just to give to a local apple farmer to try out. i never met or saw anyone so perfect for heaven. Johnny you bought me to tears! God bless you and I wish you much success. Thanks for all you do! What a wonderful person you are. I am going to buy some for my plants and maybe cover the holes as well. Mini greenhouses. You are terrific Johnny - the world is a much better place with you in it!! Just saw you on Shark Tank Johnny and your dad would be proud. John Paul is a very smart business man and he believe in America especially farmers! There are some ways to reduce your material costs that will allow you to open to the individual consumer market. I've been in plastics processing for 27 years and would enjoy speaking with you. My company also has a plastics plant in Florida that could help you. If interested respond to the blog and I'll provide you with the contact information sir. Great job and Go America! I work for a Ag supply distributor and I wish this was in our catalog! Water conservation is so important to my customer! Great job! It is truly one of the best inventions on the Shark Tank so far. Water conservation is probably the most important subject which deserves a lot more attention. Tree-T-Pee is definitely a step in the right direction. All the best Johnny Georges! In a world where everyone thinks the deserve to be a millionaire it is refreshing to see you Johnny. Johnny Georges , I watched Shark Tank and have the greatest respect for you . You are my hero for being so caring for water management . Also for not being greedy in selling your Tree T Pee for larger profits. We need more people like you . Your Dad should be so proud , looking down on you. God Bless . What a great man very genuine. I had a lump in my throat when he spoke from his heart. Everyone who thinks that only money matters needs to watch this episode.Hope this product will be sold in home improvement stores or garden centres in the US and Canada so that urban tree farmers can buy them. Thank you George. Johnny, we just saw the Shark Tank segment and were so moved. Thank you for being awesome! And surely you Dad was an amazing man as well, and would be so proud of you! I've been surfing the internet trying to figure out how we can buy five Tree T Pees just to support the cause and cheer you on! We'll keep an eye out! God bless you!!! CALIFORNIA DROUGHT 2014. I have fruit trees in my back yard and water conservation is already the big concern here in Northern California. This needs to be readily available at all Lowe's and Home Depots for average. residents NOW! This could be a HUGE MARKET ($$) NOW. I WOULD BUY IT IN A HEART BEAT. Plus my husband is a landscaper who could market these on jobsites. You the man johnny! Keep doin what u doin brotha! Great job, Johnny! Now, could you please come up with an idea for keeping birds from eating all the blossoms on our apple, apricot, and almond trees??? Please!! For some reason, they don't eat our citrus and peach blossoms, although they do eat our ripe peaches and strawberries!! Bird nets don't work. Mylar strips in the trees don't work. The apricots that do ripen to maturity get eaten by the deer as do most of our blueberries. Any ideas?? We live in Southern California but I'm from Florida and am so proud of you!! You're the man Johnny! I've never commented on anything like this before, but congratulations on your pitch! You stood up for the working man, and I for one am glad to see there are still people who do not try to take advantage of others. Keep up the success sir, you made your dad proud!! Just saw you on Shark Tank and had to look you and your business up. Congrats on a successful pitch! You have a wonderful heart and I'm so proud that you kept your ground and didn't raise pricing. Great job and best of luck! Hey Johnny! Wish you all of the best. Wish I had some trees! Best of luck to you. You are sincerely wonderful man. I believe in fate and watching you and your wonderful story, vision and love for what you believe in has truly motivated me to move forward with my own idea for business. I am so inspired by you and your conviction. Even if you had walked away with no deal (thank goodness you didn't), you are rich in integrity, value and strength in your fellow man and to me that is worth more than any investment you could ever get! God bless you and your legacy and I pray that wonderful things continue to happen for you!!!! I love that your heart is in supporting farmers, but don't forgot those of us who love our trees but try to respect drought limits on watering them! This would be a great way for us to protect our trees without being a burden during dry summers. We've planted a couple or our Christmas trees, and I lost the one from my son's first Christmas to a dry, hot year. My daughter was in PICU that Christmas, so his first Christmas was not what we hoped it would be. It would have been nice to have that tree for him. I'm watching a DVR of Swimming with the Sharks, and thought I heard them say that Home Depot had picked up the Tree T-pee. Went to the website and didn't see your product. Any plans to make your product more accessible to retail customers who might need a couple?